These Conditions set out the Terms of the agreement between WHG Removals (“the Contractor”) and you (“the Customer”), it explains your rights, obligations and responsibilities and those of the Contractor. By accepting our quote you are automatically accept our Terms and Conditions. 2.2.1 Our costs increase as a result of currency fluctuations or changes in taxation or freight charges beyond our control. 2.2.2 We supply any additional services. 2.2.3 Customers must give an approximate time the furniture may be moved into the new premises. If time is agreed to be 1pm we will ensure your house is clear of furniture by that time. If you do not get your keys before 2pm then waiting time will be applied at a standard rate of £40 per hour for every hour after 2pm. 2.2.4 Access to the collection or delivery point is inadequate or the approach is unsuitable for our vehicles. 2.2.5 Any parking or other fees or charges that we have to incur and pay in order to carry out the services you require. In all these circumstances you will be responsible for the extra charges. 3.3 Take down or re-hang curtains, blinds or other window coverings. 3.4 Move or store any items excluded under Clause 4. 3.5 Move any item which cannot be moved safely or the removal of which may damage the item or its or their surroundings. 3.7 Enter loft space unless loft area is fully fitted with suitable lighting and a permanent fixed stairway with handrail in place. 4.6 Furs, perfumery, wines, spirits, tobacco, cigars, cigarettes, foodstuffs, perishable goods. If you submit such goods without our knowledge we will not be liable for any loss or damage. In addition we shall be entitled to dispose of (without notice) any such goods which are listed under paragraphs 4.2, 4.3, 4.4, 4.5, & 4.6.  4.7 Breakage of owner packed property unless the box or container shows clear signs of external damage. 5.1 Declare to us the proper value of the Goods and provide us with a full list and printed declaration of the value of your goods of these items prior to the removal. 5.4 Prepare adequately and stabilise all appliances prior to their removal. Other than by reason of our negligence, we will not be liable for any loss or damage, costs or additional charges that may arise from any of these matters. 6.2 You have the authority of the owner of the property to make this confirmation in respect of the Goods. 7.1 If you postpone or cancel your house removal you will lose your deposit. If you postpone or cancel on your removal date then you will be charged the full amount of your removal. You are required to pay cash, cheque or bank transfer on arrival at the delivery address of your goods. We reserve the right to retain all goods until full payment is received this means that you will pay before we unload our removal lorry. Long distance removals will require 50% payment up front and 50% cash on arrival at the delivery address. 9.1.1 If you do not provide us with a printed declaration of value of your goods or you do not require us to accept Regular Liability pursuant to clause 9.2, then in the event that we lose or damage your goods through our negligence, we will pay you up to a maximum of £50.00 sterling for each item which is lost or damaged, to cover the cost of repairing or replacing that item. In this respect an item is defined as any one article, suite, pair, set, complete case, package, carton or other container. All claims made will require you to pay the first £50. 9.1.4 Fire (unless our removal lorry is on fire). 9.1.18 Other than because of our negligence, we will not be liable for damages or costs resulting indirectly from, or as a consequence of loss, damage, or failure to deliver the goods. 9.2.1.1 In the event of loss or damage caused by our negligence, our liability to you will be assessed as a sum equivalent to the cost of their repair or replacement, taking into account the age and condition of the goods immediately prior to their loss or damage but subject to a maximum liability of £1,000 (unless we have agreed a higher amount with you). 9.3 Any liability under clause 9.1 or 9.2 above is expressly subject to all or any other applicable exclusions set out elsewhere in these Terms and Conditions. 10.1 Unless we give a specifically agreed written time scale then arrival and departure times are an estimate only. 10.2 If we do not keep to an agreed written time scale schedule and any delay is within our reasonable control we will pay your reasonable expenses which arise as a result of our not keeping to the agreed written time schedule. 10.3 If through no fault of ours we are unable to deliver your goods, we will take them into store. These Terms and Conditions will then be fulfilled and any additional service(s), including storage and delivery, will be at your expense. We shall only be liable for damage to premises caused by our negligence. Any damages to premises must be noted on the delivery receipt and confirmed in writing to us within seven days unless you request a reasonable extension which we agree to in writing. We will not be liable for any loss or damage to any goods unless any claim for loss or damage is notified to us in writing WITHIN SEVEN DAYS (this is a requirement of insurers) of either their collection by you or delivery by us to their destination, unless you request a reasonable extension which we agree to in writing. We have a legal right to withhold or ultimately dispose of some or all of the goods until you have paid all our charges and other payments due under these Terms and Conditions. These include any charges that we have paid out on your behalf. While we hold the goods and wait for payment you will be liable to pay all storage charges and other costs incurred as a result of our withholding your goods and these terms and conditions will continue to apply. 14.1 We reserve the right to sub-contract some or all of the work for which we have provided a quotation without reference to you. This may occur should we encounter mechanical problems with our main removal lorry which cannot be fixed. These Terms and Conditions together with our quotation are intended to form the whole agreement between us and to prevail over any verbal discussions. We should mutually agree to any variation of these terms such variation should be confirmed in writing. Any variation however agreed shall never invalidate the remainder of these Terms and Conditions.